We have now taken complete delivery of the Schott NYC Autumn Winter 2013 collection which will definitely kit you out for the coming cold snap. The company behind the leather jacket worn by rock icons from James Dean to Bruce Springsteen all started out of a basement in New York City in 1913. A hundred years ago now, Irving and Jack Schott began selling raincoats made on Manhattan’s Lower East Side. Today, Schott N.Y.C. has grown into a globally recognized outerwear brand that continues to be worn by stars like Rihanna, Jay-Z and many more. While the company operates four stores in Japan, one in Paris, and plans to open a store in New York this fall, Schott N.Y.C. still handcrafts most of its products right here in America, and is still family-owned. 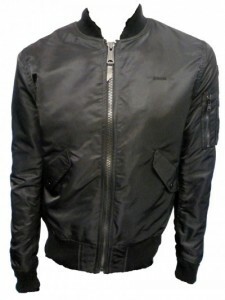 We at Apacheonline love the Schott NYC brand and think there is something for everyone in the range. This classic style has now come full circle and is this years biggest style. The Schott JKTAC Nylon Bomber Jacket is constructed from a soft, hard wearing nylon fabric and features a subtle embroidered chest logo. This style will definitely keep you warm and looking great this season. 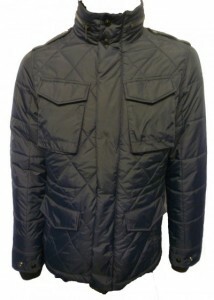 This is the stunning M22 Quilted Nylon Jacket in Navy. It features a soft nylon fabric, stitched quilting detail and a subtle embroidered logo. This is ideal for those cold autumn mornings. 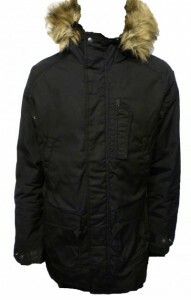 Available now at Apacheonline at a great price of £120.00 this is an absolute bargain. 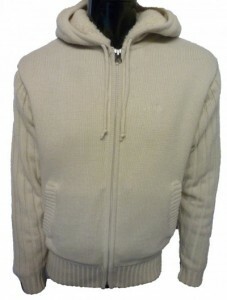 Lastly we have the stunning Schott Pelican Zip Through Knitted Jacket. In a quality knitted fabric, borg lined fur detailing and simple chest branding, this will definitely keep you warm in the coming winter. So now we have whet your appetite with some stunning winter warmers, why not pop down to our store in the Bishopric, Horsham or visit our online store at Apacheonline.co.uk where all our collections are showcased.